Please submit your details via email to our Editor in Chief as a Word, pdf or html document. It will be reviewed and then posted on our site. If you have any questions or need additional information, or prefer to pay by cheque or money order, please contact our Editor in Chief (above link). Please review the following descriptions to distinguish the level of support and amount of exposure you will receive as a sponsor. The Diamond level sponsor is a leader in support who knows how to boost development through insightful investment. The Gold level sponsor is a seasoned supporter who recognizes development requires sound investment. The Silver level sponsor is a dedicated supporter who sees the need to contribute to development of worthwhile initiatives. 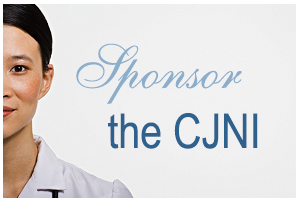 The Bronze level sponsor is an emerging supporter who wants o contribute to the development of the CJNI Journal.